I'm normally not a huge fan of short stories, but I always love everything Kelley Armstrong writes. This collection was no exception. I didn't absolutely love "Twilight," "Lucifer's Daughter," and "Chivalrous" wasn't my favorite, but I adored "Stalked," "Demonology," "Hidden," "From Russia with Love," and "Vanishing Act." Elena and Clay are my favorite fictional couple ever, so I'm glad that this book had 3 stories about them. Getting to know Adam's mom a bit and seeing her reaction when she learned about his abilities was interesting. Adam is one of my favorite characters, so I always like anything to do with him. I never really cared for Cass, which is probably why I didn't like "Twilight" that much. I also never really liked Hope and Karl, so "Lucifer's Daughter" was lukewarm for me. I liked Reese okay, but I wasn't invested enough in his character to really care about "Chivalrous" one way or the other. 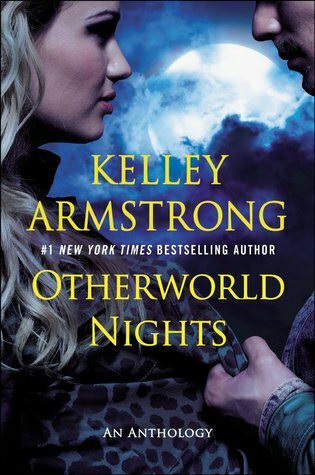 Overall, I'd recommend this anthology if you're a huge Kelley Armstrong fan like me. It's a great book to add to your collection.